Media reports suggest that Peoples’ Alliance is likely to be revived to prop up defeated Lankan President Mahinda Rajapaksa. COLOMBO: The Peoples’ Alliance (PA) which won all major elections in Sri Lanka from 1994 to 2001, is likely to be revived to prop up defeated Lankan President Mahinda Rajapaksa, according to media reports. 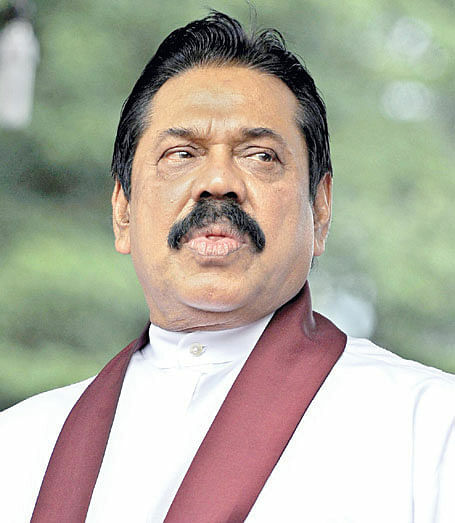 The move to revive the PA stems from the conviction that the Sri Lanka Freedom Party (SLFP), which is Rajapaksa’s party, will not put him up as its Prime Ministerial candidate in the coming parliamentary elections. This is because there is no love lost between Maithripala Sirisena, the current chairman of the SLFP, and Rajapaksa, who Sirisena had defeated in the January 8 Presidential election. A conglomerate of the SLFP and left parties, the PA was put together in 1994 to take on the then entrenched United National Party (UNP). Though its place was taken by the United Peoples’ Freedom Alliance (UPFA) in 2004-2005, the PA continued to officially exist with the “chair” as its election symbol. Its General Secretary (former Prime Minister D.M.Jayaratne) and some of its constituents are now with the Rajapaksa faction. It is clear that the SLFP is going to split on the Rajapaksa issue. Stung by the belligerence of the Rajapaksa faction, Sirisena told party MPs that those who do not want him to carry out his Presidential election pledges will not be given tickets in the coming parliamentary elections. Top leaders of the SLFP want Sirisena to disengage himself from the UNP. They have also said that they will not support the 19 th. Constitutional Amendment Bill (meant to depoliticize Lanka’s administration), unless Sirisena simultaneously brings a bill for electoral reforms. Voting on the 19 th Amendment is fixed for April 21. But Sirisena has made it clear that he cannot ditch the UNP, as he had won the Presidential election with UNP’s support. He also feels that electoral reforms cannot be carried out in a hurry. He has threatened to dissolve parliament if the 19 th. Amendment is not passed on April 21. Sirisena is hopeful of getting a parliament that will back his agenda, despite the fact that his government’s lackluster performance thus far, is boosting Rajapaksa’s prospects.